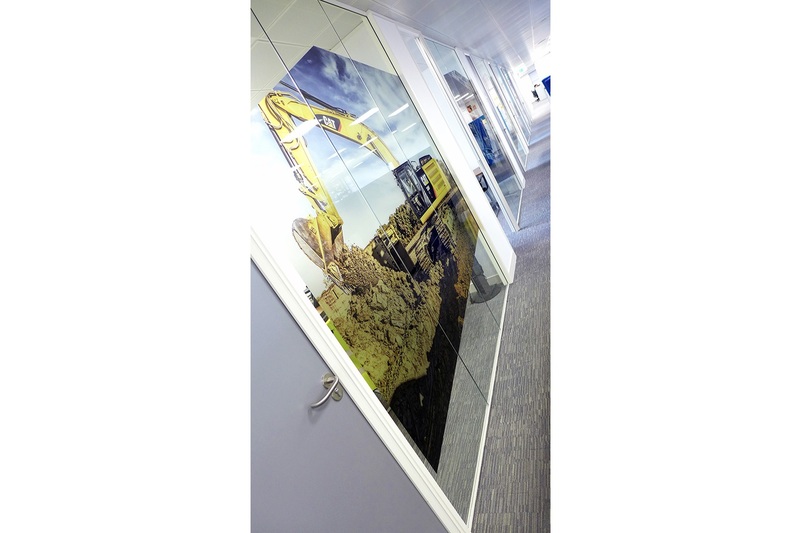 Mix of optically clear and translucent manifestation effects. 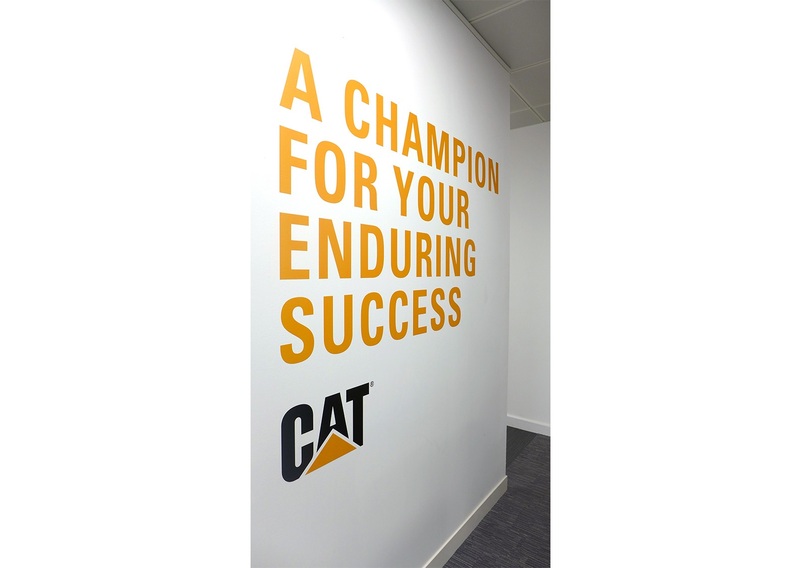 Acrylic branding and way-finding signage. 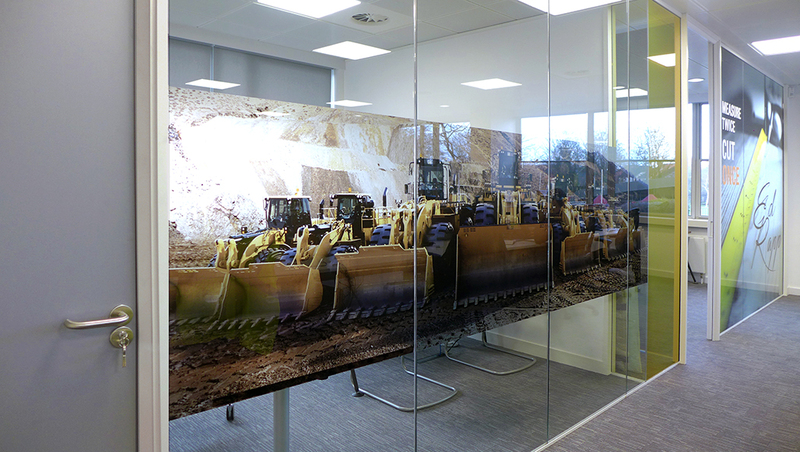 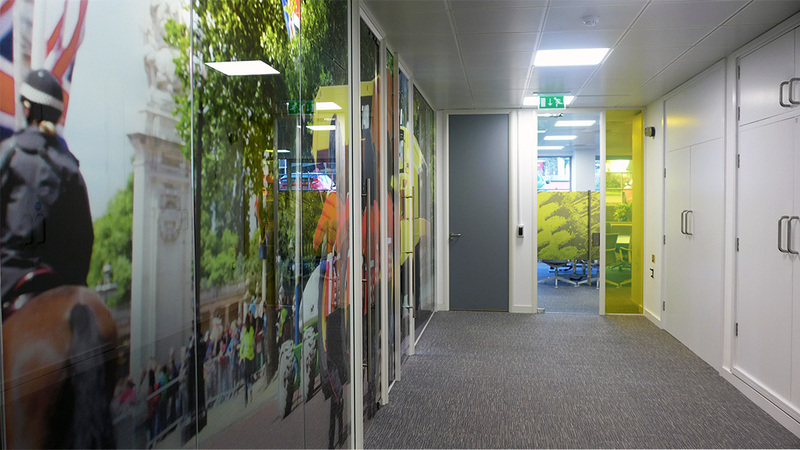 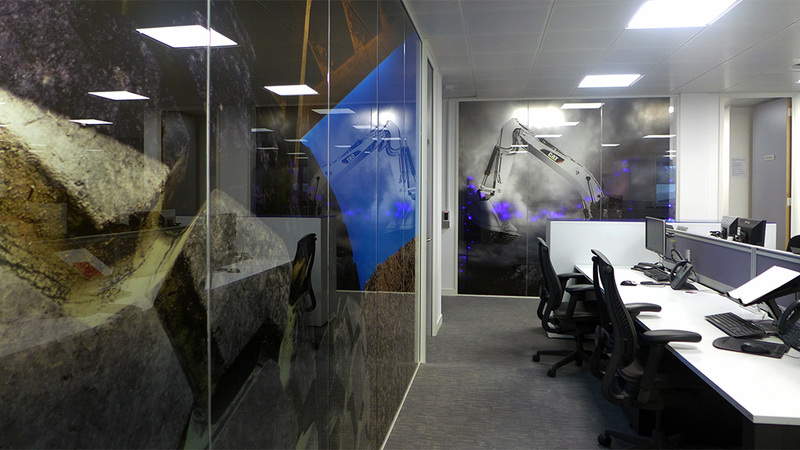 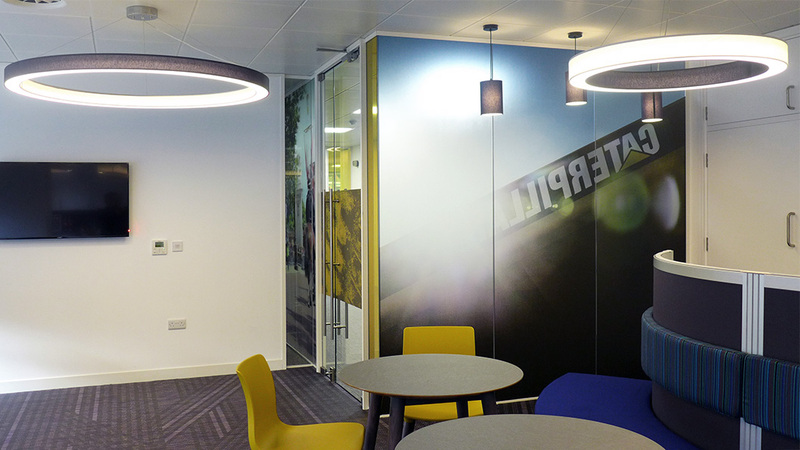 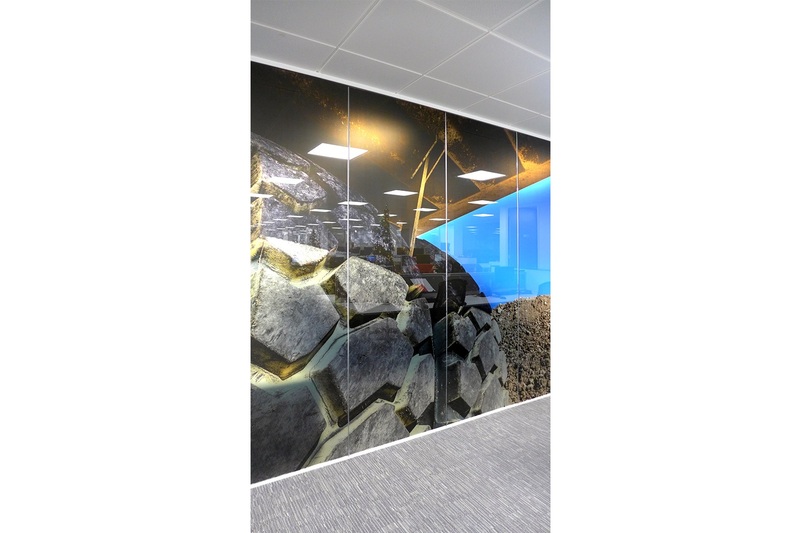 Fit out by KWB Workplace Ltd.
“We had used LTD for artwork in the past so, when it came to moving to a new office location, they were the obvious choice to work on the ‘look and feel’ of the new site. 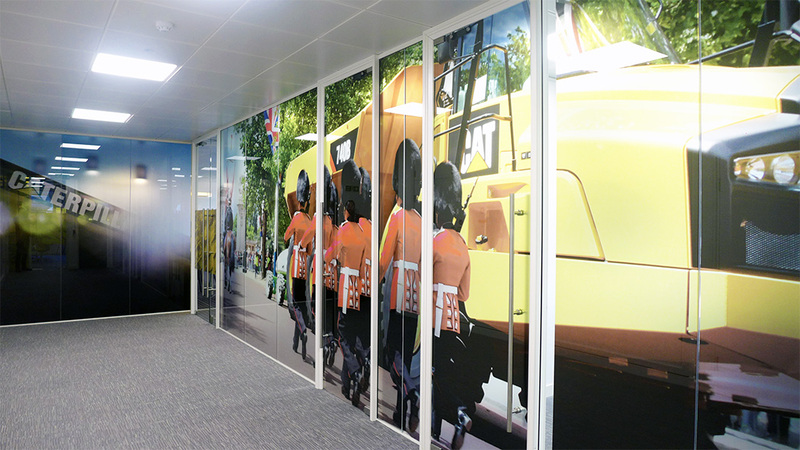 The team at LTD took our comprehensive corporate branding requirements, listened to our employees thoughts on a working environment that truly represented who we are and what we stand for, and delivered a scheme that far exceeded our expectations.